Scott Browne believes that trust and proactive communication are the foundations of a long-lasting client planner relationship. At AXIUS Financial, he puts that belief into practice when working with a diverse client mix of individuals, families, and business owners. Wealth management, comprehensive financial planning, insurance needs analysis, group retirement plan consulting, and college savings strategies are just a few of Scott’s areas of expertise. 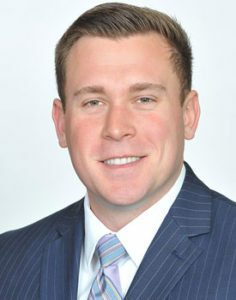 Scott joined AXIUS in 2013 after graduating from Mizzou where he earned a bachelor’s degree in Business Administration with an emphasis in Finance/Banking and Real Estate. Scott currently holds FINRA Series 7, 63 and 66 licenses, as well as life and health insurance licenses. He is currently working toward his CERTIFIED FINANCIAL PLANNER™ certification to better serve his clients. Outside of work, Scott remains actively involved in the St. Louis community with Angel’s Arms, Nurses for Newborns and cheering on the St. Louis Cardinals and Blues. He enjoys playing golf, cooking and spending time with family and friends. Scott is also a committee member of CUREiosity, benefiting research at Siteman Cancer Center and Washington University School of Medicine.